Stay safe from the dangers of flash floods. From the polar vortex to record-breaking heat waves, weather patterns in the U.S. have been a little crazy over the past few years. With unpredictable weather patterns and an increased risk of flood, make sure you’re prepared for the unexpected. Be sure to know what to do in the event of a flash flood. A flash flood generally occurs with heavy rainfall, when the ground is unable to absorb all the water, and especially near rivers along the floodplain. They’re likely the most common type of natural disaster and can be extremely dangerous. In the event of a flood, make sure that you take necessary precautions and keep an emergency kit handy. Know the difference between a Flood Watch and a Flood Warning. Both instances should keep you on your guard, but they have different meanings. A Flood Watch means it’s possible for a flood to come, whereas a Flood Warning means a flood is coming. Stay vigilant. Be sure to keep and eye on the weather report. Look out for warnings from the National Weather Service. Head to higher ground. In the event that you get caught in a storm, be sure to get as high up as possible. Steer clear of any water. Running water is extremely powerful (It did carve the Grand Canyon after all!). If you come across running water, turn around. A few inches of water can sweep an adult off their feet and a couple feet of water can send a car downstream. After a flood be wary of downed power lines. Inspect your home after a flood. Evaluate any damages and be sure to check for any small critters like rats and snakes that may have taken shelter from the storm in your home. 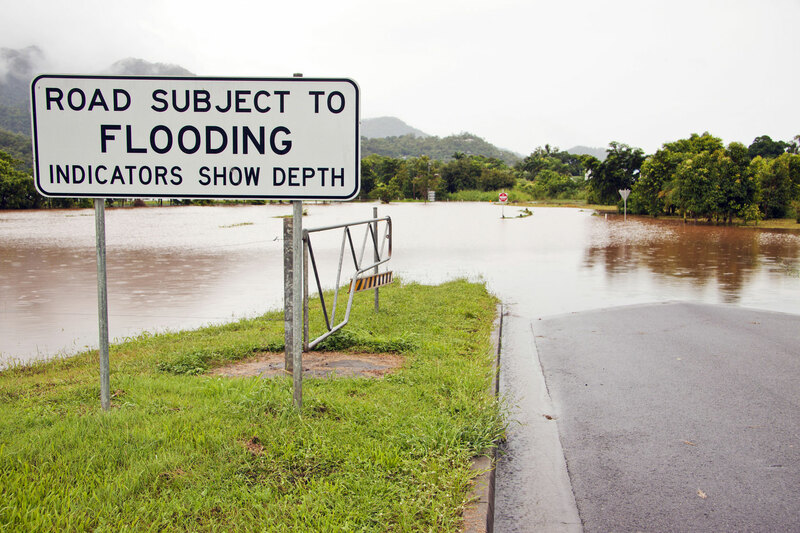 Make sure you’re prepared for flash floods and get extra protection with flood insurance! For the best insurance, contact the professionals at The Schwab Agency. Located in Colleyville, Texas, we serve all your insurance needs.